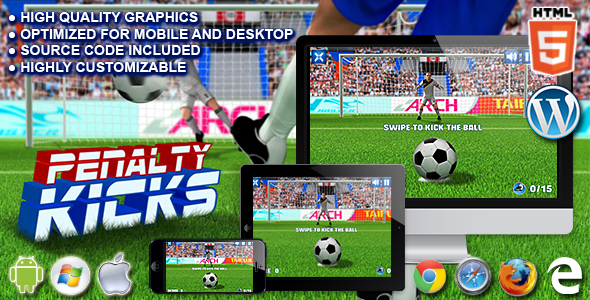 2 items tagged "Sport Game"
Penalty Kicks is a HTML5 Sport Game. Your team has chosen you to score the crucial goal that will lead you to the victory! Aim the ball and kick it past the goalkeeper! This game has been developed in HTML5/js and third-party library CreateJs – http://createjs.com/ (not Construct2 or other framework).